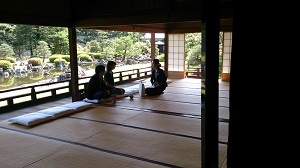 It was such a precious moment; having the tea ceremony at Koun-tei with a fabulous view of the garden. We held a wedding consultation event at the world heritage “Nijo Castle” under the clear blue sky. 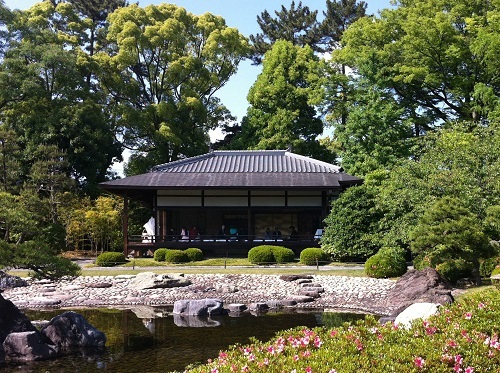 Seiryu-en(garden) and Koun-tei are the special places where visitors are not allowed. And even the couples who got married at Nijo Castle could stepped into these places only on the day of the wedding. With our clients’ voice that they want to have a look of the site in advance, we finally managed to have the first consultation meeting there. 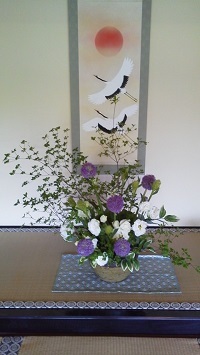 The flower arrangement placed at the Tokonoma(=Alcove) or live Koto(Japanese harp) music will be in the memory of the guests as a warm hospitality. We are pleased to hear various favorable comments from the guests who participated in the event. 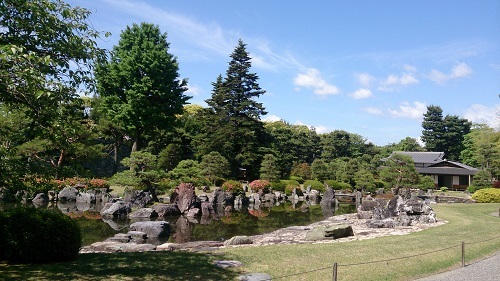 And one of the tourists who visited Nijo Castle asked me how much it will cost to have a wedding ceremony there, and she was surprised to know it. She said “it should cost more”. At Nijo Castle, you can have a non-religious wedding ceremony in which you will exchange marriage vows in front of the precious people for you. If you are interested, please join the next event which will be held on June 21st (sat).